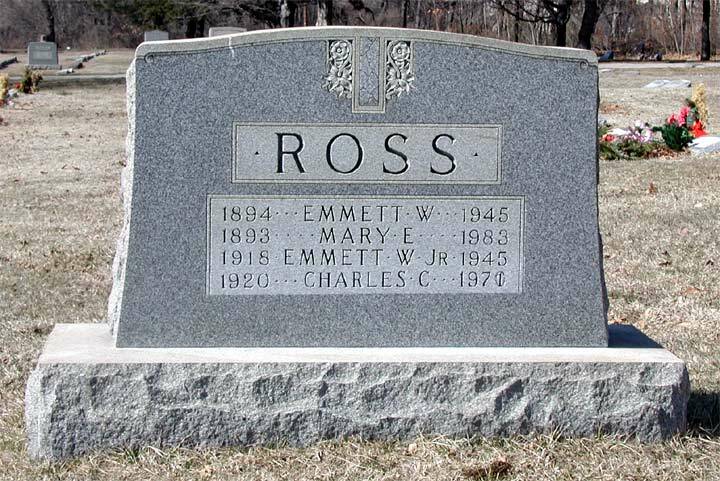 PRIVATE EMMETT W. ROSS, JR., 26, of 840 Linden Street, the son of Emmett W. and Mary E. Ross, was a radio operator serving with Troop B, of the 121st Cavalry Reconnaissance Squadron, 106th Cavalry Group, when he was killed in action on April 13, 1945, 28 days after he went into combat. Born on 1918, Emmett Ross had graduated from Camden High School in 1936, and had earned a four-year scholarship to New York University. His father was an electrical engineer, oddly enough, in 1930, they had not bought a radio. Emmett Jr. went on to Harvard Law School, graduating in 1943. He was working as a law clerk for former Camden Judge Frank F. Neutze and studying for the New Jersey Bar examination when he was drafted in January of 1944. He was sent overseas in February of 1945. He was survived by his parents and a brother, Technician 5th Class Charles Ross, two years his junior, then serving with the Army in Texas. 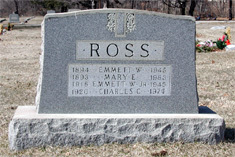 Emmett Ross was brought home in the summer of 1948. He was buried on August 9, 1948 at Arlington Cemetery in Pennsauken NJ, next to his father, who had also passed in 1945. They were joined by brother Charles and mother Mary E. Ross in later years.